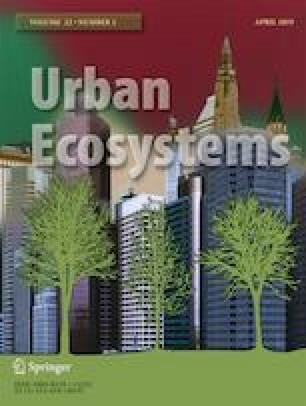 To maximize the ecological services of urban forests, a better understanding of the effects of urbanization on urban forest characteristics, landscape metrics, and their associations is needed for landscape-related regulations in space-limited green infrastructure of metropolitan regions. In this study, Harbin, a typical fast-growing provincial-capital city in Northeast China, is used as a case study. Based on remote sensing images, field surveys, and correlation and variation partitioning analyses, we conclude that landscape characteristics and forest attributes have large variations among different urbanization intensity (UI) regions. Forest patch density (PD), landscape shape index, woody plants species richness, and the Shannon–Wiener index (H′) increased linearly, while stem section area and tree height decreased linearly with the increasing of UIs. UI had a greater influence on tree size and forest community attributes than the forest landscape pattern. Accordingly, any landscape regulation on forest attributes should be implemented according to UIs. In addition, Euclidean nearest neighbor distance(ENN-MN), mean perimeter-area ratio (PARA-MN), fractal dimension index(FRAC-MN), and PD could probably indicate forest attributes the most, e.g., the increase of PARA-MN may be accompanied with taller trees in low and heavy UI regions, but lower woody plants species evenness in low and medium UI regions. More diversified woody plants species, and afforested areas should be advocated in a low UI region, while in a heavy UI region, the conservation of large trees should be implemented. Our results highlight that the implementation of urban forest management should vary according to different urbanization regions to maximize ecological services. Hailiang Lv and Yanbo Yang contributed equal to this work. The online version of this article ( https://doi.org/10.1007/s11252-019-00850-0) contains supplementary material, which is available to authorized users. This study was financially supported by national key project from Ministry of Science and Technology (2016YFA0602304-2), NSFC project (31670699,41730641), basic research fund for national universities from the Ministry of Education of China (2572017DG04), Longjiang Professorship fund (T201702) and Jilin Provincial Science & Technology Department (Grant No. 20170520083JH).